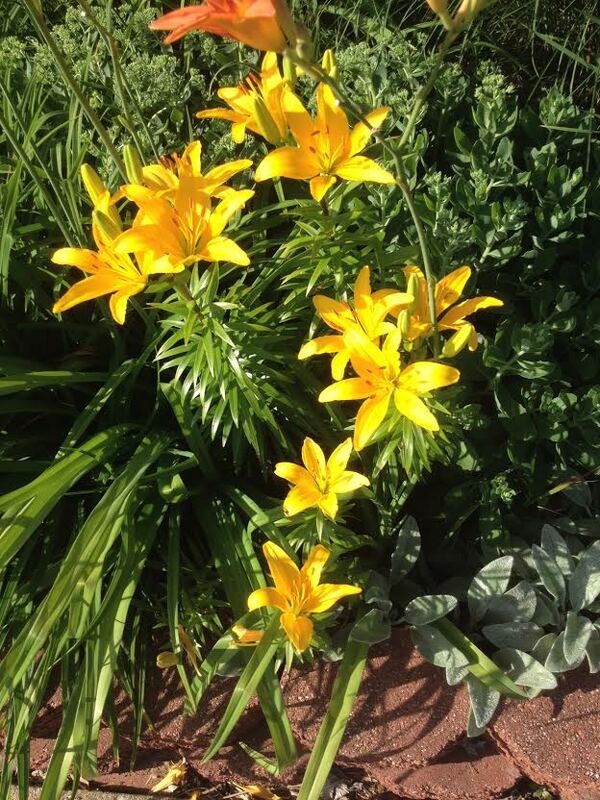 I like to think that these yellow lilies are part of a witness protection program or on the lam. The reason is because they are our only Asiatic lilies still planted in the ground. All the others have been moved into planters over time because the rabbits in our garden seem to have an oriental palate. They would eat them every year. Even this year, I had to dig up some more to save them. But these yellow ones are in the front bed and nestled between some day lilies which the snobbish rabbits do not prefer and never touch. I’m tempted to try transplanting some more next year and hide them among other things that the rabbits won’t eat just to see if it works. So these are blooming brightly, proud to have hidden from the rabbits this year.